It’s official. 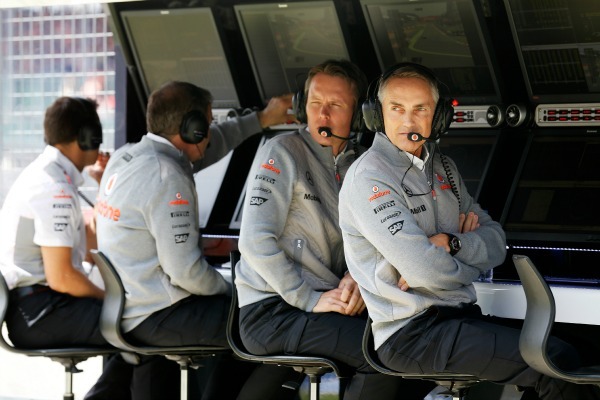 The McLaren team has given up on trying to win the 2013 World Championship and shifted focus to 2014. And who can blame them? They haven’t had a podium this season, let alone a victory, and after seven races, neither driver is in with a prayer of fighting for the Drivers’ Championship. There is also no hope of a challenge for this year’s Constructors’ Championship. Wise move, McLaren. Very smart, although their 2013 sponsors might not be too pleased by the news that this year’s results are unlikely to improve. It’s a wise move because it means McLaren will almost certainly be right at the front in 2014. Consider two examples. The first is the monumental success of the Brawn team in 2009. In 2008, Honda realised they had a terrible car and that it was pointless to waste resources developing it. So they started work on the 2009 car very early in the 2008 season. At the end of the year, Honda’s board pulled the plug on their F1 team. Team principal Ross Brawn led a management buy-out, renamed the team to “Brawn GP”, and then led the squad to an historic Drivers’ and Constructors’ Championship victory in 2009. The team’s leading driver (and 2009 World Champion) was Jenson Button, who currently drives for McLaren. The second example is this year’s Mercedes team. Last season it became clear that Mercedes did not have a car capable of fighting for the World Championship and so the team switched focus to 2013 mid-way through the season. The change in focus has clearly paid off, as Mercedes have now secured five pole positions from eight races in 2013, Nico Rosberg won the Monaco Grand Prix, Lewis Hamilton is currently fourth in the Drivers’ Championship and Mercedes are third in the Constructor’s Championship, within striking distance of second-placed Ferrari. The success of Brawn in 2009 is perhaps the more relevant of the two examples above, as 2009 was a significant year in terms of technical regulations. There were sweeping changes to the design of the cars in 2009, partly to clean up the appearance of the cars and partly to promote overtaking. Brawn’s engineers were able to exploit the new regulations very successfully due to the amount of time they spent developing their 2009 car. 2014 sees the next major set of technical regulation changes. Turbocharged engines, a proper ban on use of exhaust gases to create downforce, and a raft of other regulation changes provide a great opportunity for a team with the resources of McLaren to gain an early advantage by sacrificing this season in favour of starting 2014 on a competitive note. Watch out for McLaren in 2014. It is highly likely they will be devastatingly quick.